Rope access may have its origins in the offshore industry, but that does not mean that is its only use. In fact, other uses have as of now completely overtaken it. It is now a widespread service that can be utilised in many areas that require a safe, unintrusive way to work at a greater height. The reason rope access was initially used in the offshore industry was because it was a work placement technique that is safe, environmentally friendly, and completely unintrusive. It was soon noticed that all these traits make it the perfect solution for many other off-shore activities. As such, rope access companies have moved on to work on buildings, but old and new, including local city centres and industrial complexes, etc. Due to their eco-friendly nature, they can also be used in the natural environment, such as stabilisation on cliffs and rock formations – any place where it isn’t normally safe to access great heights. 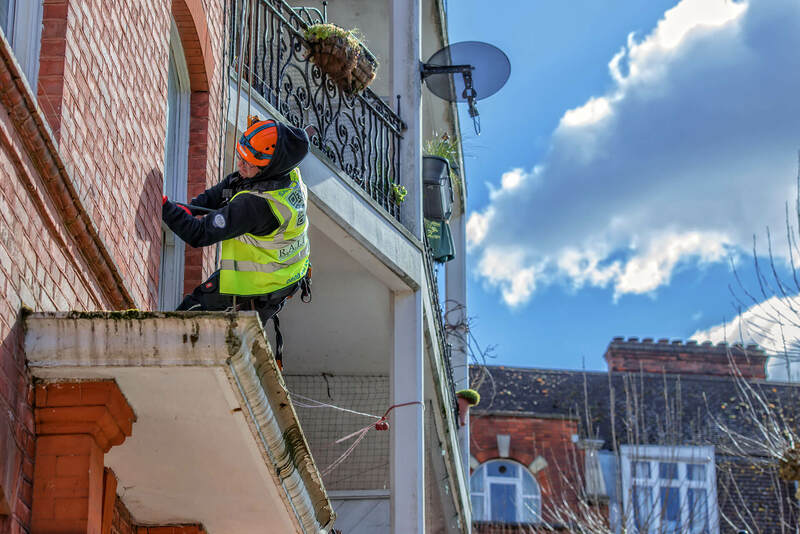 Rope access is the perfect option for structural inspections, testings, any jobs related to construction, maintenance, repairs, geotechnical jobs, as well as cleaning, painting, and other management services. Thanks to the ease with which our rope access technicians can safely operate at great heights, no task is too difficult for us. Give us a call and we will perform any work that needs to be done at height. We offer a great deal of quality services that come at very budget-friendly prices. Contact us today and get rid of your problems. Abseiling is a more general term that describes the process of descending down a wall using ropes. Rope access, or industrial abseiling, is that same process but applied to buildings in order to perform maintenance. Rope access is a methods that is used to clean and conduct maintenance of higher buildings. Using only ropes and a set of tools, rope access technicians can safely perform difficult tasks at heights.